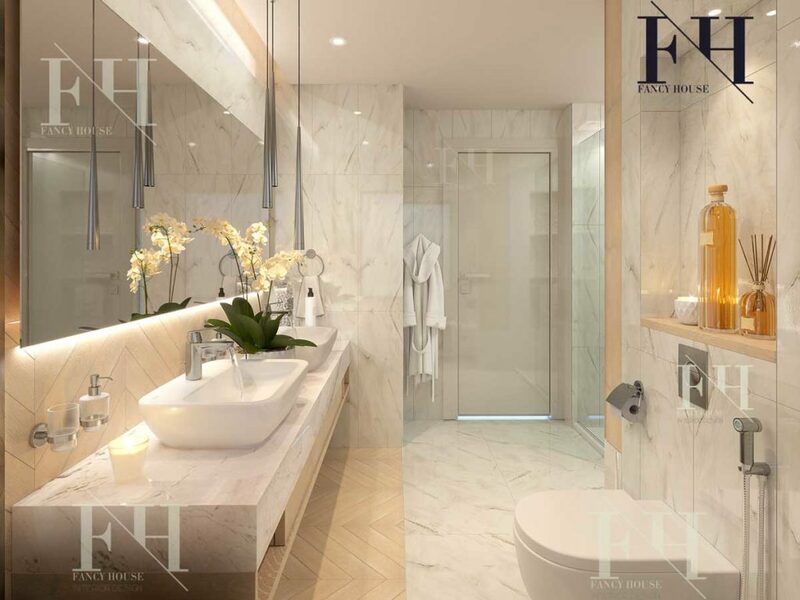 Bespoke modern apartment interior design & decoration services for the high class living in Dubai. How to create a unique apartment interior design? How to get this service & how much it cost? We have answers to all these questions. We are a professional firm, who are ready to materialize any of your ideas to a very nice decoration concept. Do you want to get a completely new look of your home? 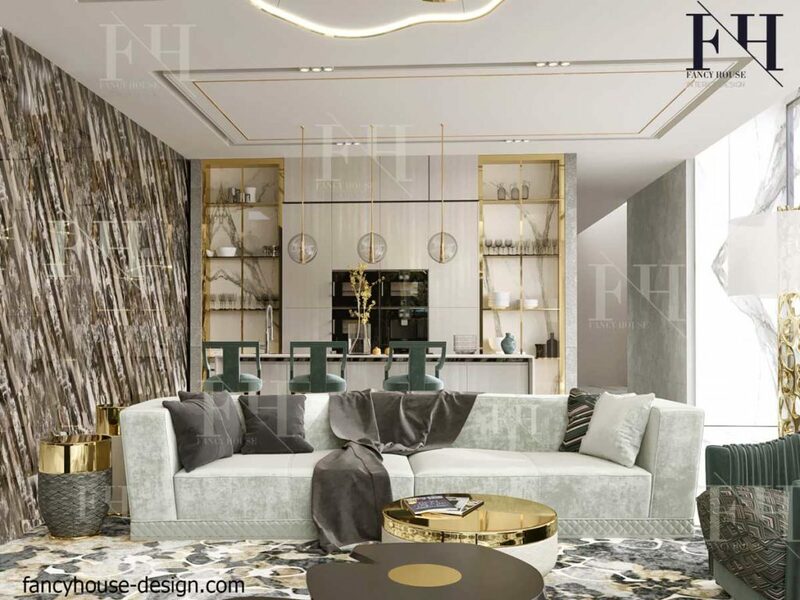 Fancy House studio is ready to help, to give you the best solutions of a layout and an interior. If you have apartment interior design ideas we will gladly implement them. 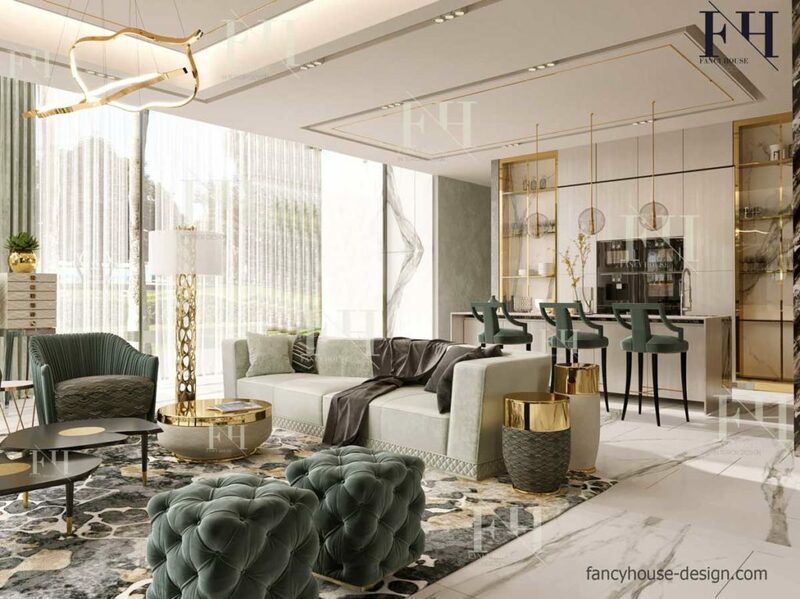 In case you do not have any thoughts, designers of Fancy House will offer you all possible options for to make your studio or 1, 2, 3 bedroom flat comfortable and in contemporary trends. We will create a unique conception to give a completely new look to your flat. Your interiors will become modern and cozy: bedrooms & living room become very comfortable and modern look. The main task before starting the designing work is to understand the client, all needs and desires. Tell us what you would like to have in your flat to allow us make the best planning & decoration solution to realize is as your dreams home. Interested to estimate apartment design cost for you ? Email us! We bring new trends to traditional Arabian sittings. 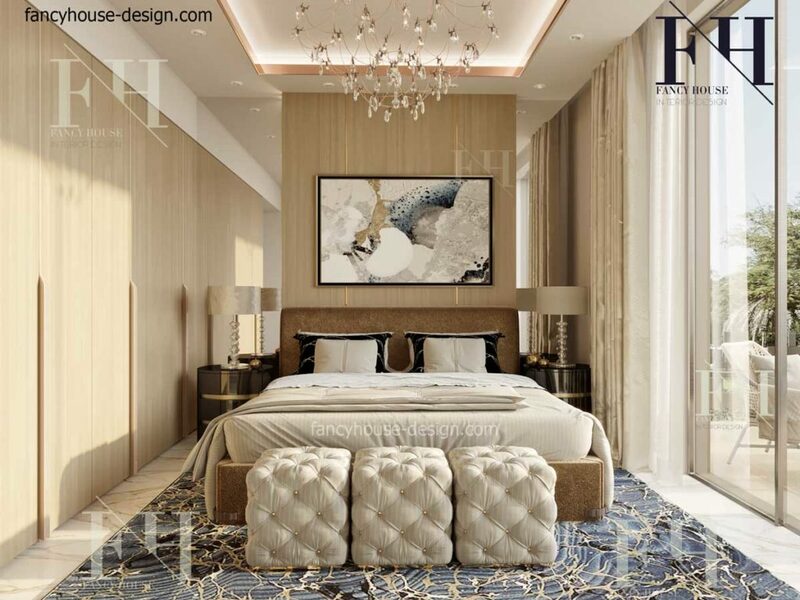 Turnkey apartment interior design services and fit out execution: space planning & a decoration concept, selection and installation of furniture and quality materials. You send a request for estimation the cost. Just call us or leave your request via online chat. We have a meeting at the site or in our office in Dubai. We make 3D visualizations & working drawings. We select materials & furniture for your flat. You new astonishing home is ready to move in and have a beautiful life in it. We carry out fit out works. Efficiency, responsibility, quality control at all stages, high level of professionalism is what we guarantee to all our clients. You can trust us with even the most difficult tasks. And be sure, the result will amaze you. Many factors determine the price. However, for a rough estimation enough several main parameters that determine the cost. You just need to fill out the form on the left to get the pricing. a property type: an apartment. the size of your flat in square meters. write location of the flat: city, district. you need a design project, execution, or both. 3. What is the size of the premises? 4. What is the location? By submitting, you agree on processing of your personal data. Would you like to receive any info about our services? Send to us a short email, we are pleased to help you. COPYRIGHT © 2010-2019. Copying and posting images from this site is allowed only with an active link to this website & with indicating the Fancy house design authorship. Disclaimer: The information presented on the website is for informational purposes only. It is not a recommendation or an offer.